If you're looking for a vegan minimalist wallet, then you're going to love these 10 picks. You'll find several wallets that take up the least amount of space with the most amount of function and simplicity. Slimfold's wallets are made for active men and women. This one can go with you hiking, biking and skiiing while the waterproof fabric preserves your cash. Features a bill compartment and two easy-slide card slots. Pros: There aren't many wallets more lightweight and compact than this one. It can fit right in your front pocket behind your smartphone. If security is at the front of your mind, it also comes with optional RFID protection against remote data scanners. Cons: It's a teensy bit expensive. Ever feel like howling at the moon? 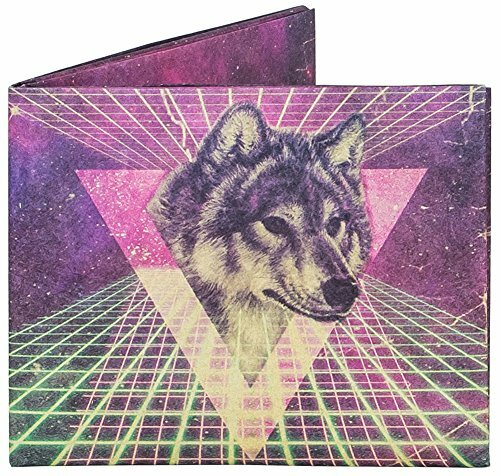 Get in touch with your inner wolf with this wolf-in-space print wallet. Designed like origami for an original minimalist style. Advertised as vegan: No, but it's Tyvek, a super strong vegan material. Pros: Awesome and affordable, this wallet makes a great gift. There's never a dull moment with Dynomighty wallets. Cons: No real coin change area if that's something you can't do without. Matt & Nat's Watson wallet in supple olive green vegan leather will help you stay on track with your New Year's resolution to get organized. 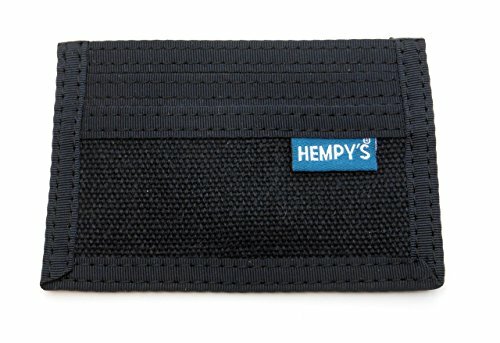 Designed with a main bill compartment, 6 card slots and a zip coin pouch. Zips shut all the way around. Pros: Matt & Nat know minimalism. You get all the wallet necessities in a neat little package. It's really quite a chic wallet, beautiful in any color option. Cons: It's in the pricier range. 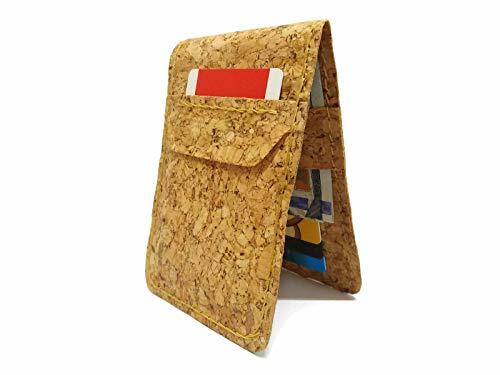 This unique men's bifold wallet is brought to you by all-natural cork. Made with inner and outer card slots and an internal cash band. Pros: Are you trying to remove clutter from your life? 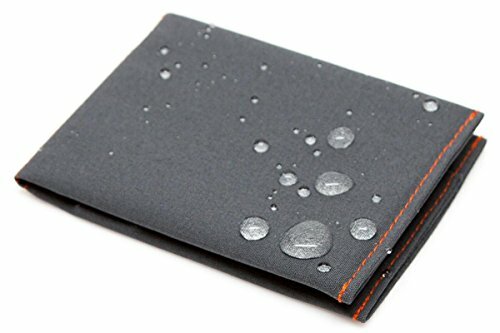 This wallet is made to hold plenty of notes and cards but not much else. Cons: We can't speak to the functionality of the RFID technology. Minimalist to the core, this black card holder wallet is made of tough carbon fiber with an attractive woven look. 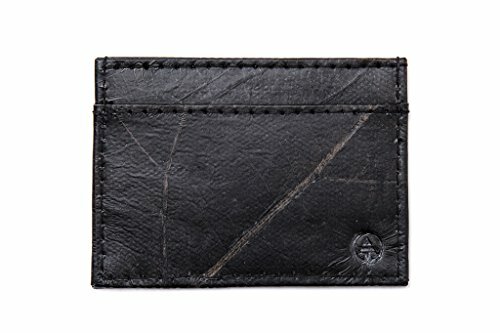 Built with a money clip to store bills and an ample card pocket. Pros: Pare down your wallet. If you struggle to toss out unnecessary receipts, this wallet will turn you into an efficiency pro. Cons: If you prefer the money clip to be optional, it could be difficult to cram cards and cash together in the card slot. 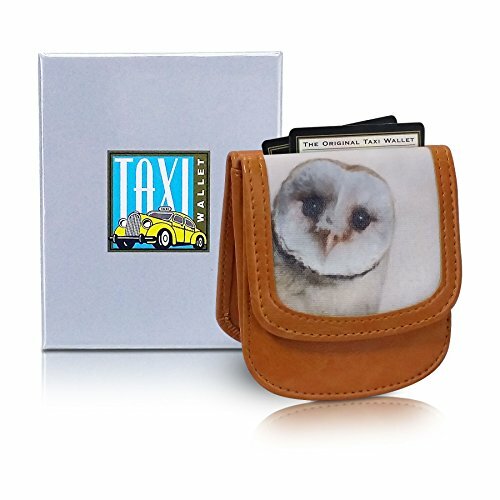 Die hard fans of David Bowie and the 1980s film Labyrinth, this barn owl print wallet might be for you. Cleanly organized inside with a coin purse, card slots and a cash pocket. 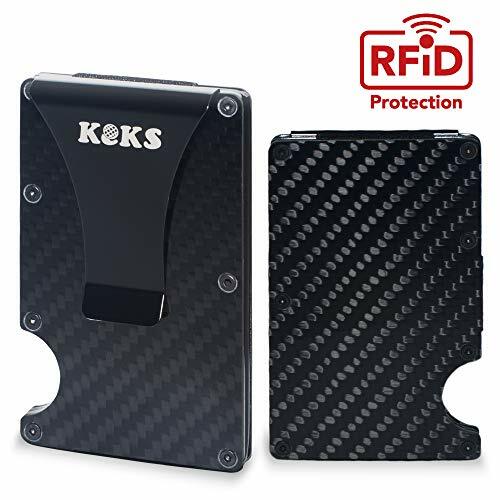 Pros: It's mini-sized with an easy top pocket to grab cards, ID, money or anything else you want at the ready when you're traveling. Keep it in your front or back pocket. Cons: It might be best for occasional use rather than everyday use as it is quite small. The orangey-pink wisteria print on the gray fabric adds a peaceful element to this women's minimalist wallet. Equipped with RFID-blocking tech and a protective outer band. 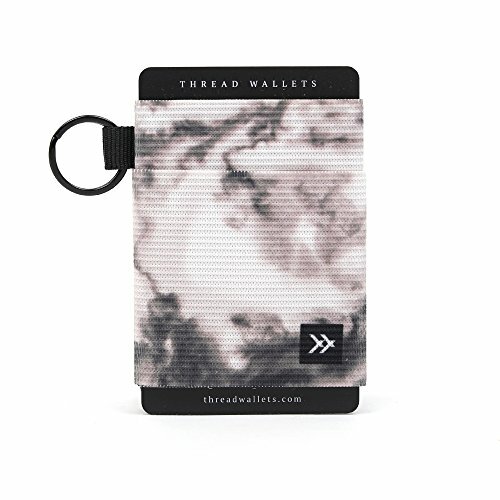 Pros: Trim and pretty, this wallet has many admirers. If you're purse is small, a mini wallet is a smart choice. Cons: Mini wallets don't work for everyone. This one can actually appeal to men and women with its slick, super manageable design. Made in the USA with sustainable hemp canvas. Advertised as vegan: No, but it's made from the hemp plant. Pros: It's a good little wallet for all ages. Anyone looking to rid themselves of wallet buildup will appreciate its simplicity. Cons: The card slots on the outside aren't terribly protected. Essentially a snug elastic band for your cash and cards, this wallet is minimalist-approved. Stylish with a gray and cream marbled effect. Pros: It's a very sensible mode of money transportation for those who can't carry much. Elastic is a great material for a stripped-down wallet, and it's grippy enough so that you don't have to worry about your money falling out. Cons: No room for extras. It looks like leather until you get a little closer. Then you start to see the delicate leaf patterns—that's because it's leaf leather, made entirely from teak tree leaves. Designed to fit comfortably into your front pocket. Fits your cash and a selection of cards. Pros: It's not your average faux leather wallet. Nature lovers are sure to admire Leaf Tribe's creativity. Cons: No coin change section, though that's not necessarily an issue for everyone.